By Julia Lee, Noozhawk Intern | @NoozhawkNews | June 12, 2017 | 9:48 p.m. 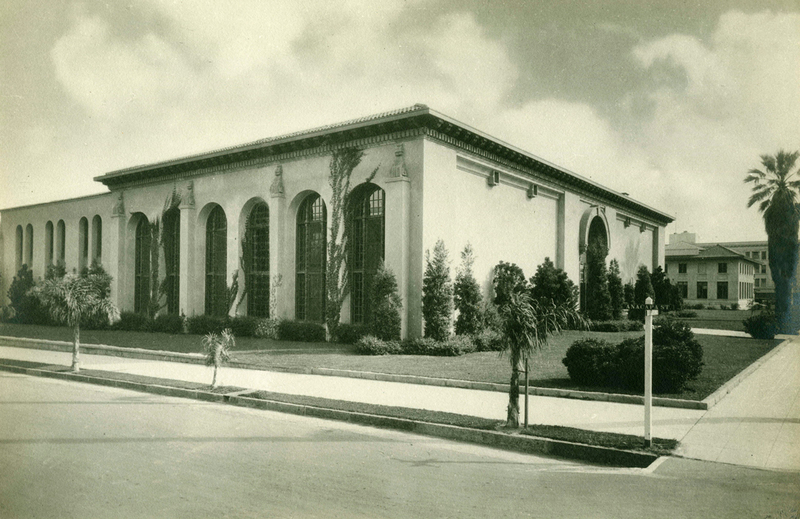 The Santa Barbara Central Library is celebrating 100 years with events throughout the year and is inviting the community in to learn about how the building and its services have changed over the decades. Friends of the Library kicked off the events with a fundraiser and publication party for Library Book: Writers on Libraries, an anthology of library memories from more than 80 writers, edited by Steven Gilbar with a forward by T.C. Boyle. It’s a collection of essays with authors sharing their personal stories about the Central Library or how libraries have shaped their lives. Copies can be found throughout the library system and at local bookstores, with proceeds going to the library. The Central Library is hosting history talks as part of the centennial celebration as well as Makerspace/Curiosity events for kids, a nonfiction book club, music events and a gala cocktail party in November. Betsy Green, a local historian and author of several books including MESApedia, gave the first history talk in the Faulkner Gallery on Sunday. ​Santa Barbara had a small, two-room library at 14 East Carrillo Street in 1916 but the current Central Library was built because the city's population more than doubled between 1906 and 1917, she said. 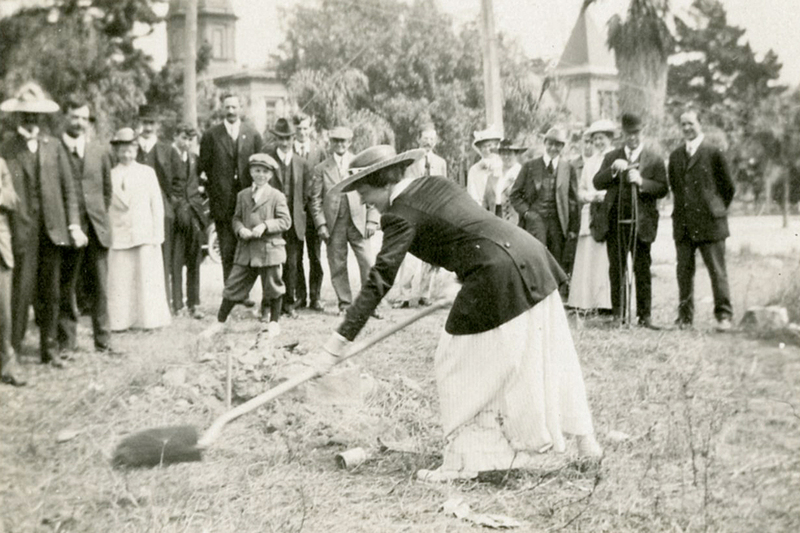 There were two newspapers in Santa Barbara 100 years ago, The Morning Press and the Daily News Independent, and Green talked about digging through those archives looking for interesting information. The next history talk, The Great Santa Barbara Earthquake of 1925: The Disaster that Built a City, by Neal Graffy, is scheduled for 3 p.m. to 5 p.m. on June 25 in the Faulkner Gallery at the Central Library, at 40 East Anapamu St.
“I think it’s important to bring people in and show everyone not only how the building has changed over the years to meet the needs of our users, but how library services have also changed,,” said Jace Turner, a community relations librarian. “We offer so much more than just books! The library offers lots of free programs and classes for patrons, from babies all the way up to senior citizens. We’re using the Centennial Celebration to celebrate the history of the building and promote the many programs and services we offer to the community,” said Turner, who also offers tours of the library. The Central Library was built as a Carnegie Library in 1917 and designed by architect Francis Wilson, according to the city. There have been renovations and changes to the building over the years, including the addition of a Children's Library in the lower level in 2015 and an exterior remodel and paint job in 2016. 1892: First Santa Barbara Public Library opens at 14 E. Carrillo St.
— Noozhawk intern Julia Lee can be reached at news@noozhawk.com . Follow Noozhawk on Twitter: @noozhawk, @NoozhawkNews and @NoozhawkBiz. Connect with Noozhawk on Facebook.